you have to try our chimichurri sauce! Chimichurri sauce is a versatil and healthy sauce tipical from Argentina and South America. With natural flavors and no conservatives and no colorants, Chimichurri sauce will bring and extra flavor to your food in order to make it exotique. Our Chimichurri sauce has endless uses. You can use it for your BBQ, sandwhichs, salads, pizza, pasta and you can mix it with mayonnaise for special diping. 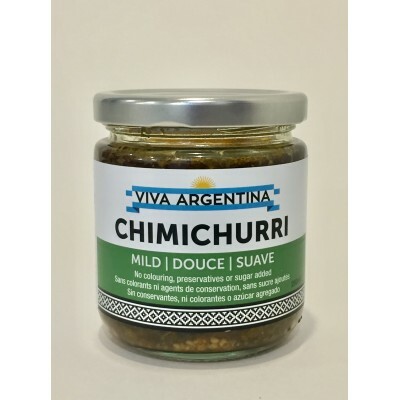 VIVA ARGENTINA CHIMICHURRI IS NOT JUST ANOTHER SAUCE OR DIP, OUR CHIMICHURRI REALLY ENHANCES ALL THE NATURAL FLAVORS OF YOUR FOOD, IT DOESN’T COVER IT UP. OUR CHIMICHURRI GOES GREAT AS A MARINADE OR CONDIMENT FOR STEAK, CHICKEN , FISH, HAMBURGERS, SAUSAGES, RIBS AND CHICKEN WINGS. 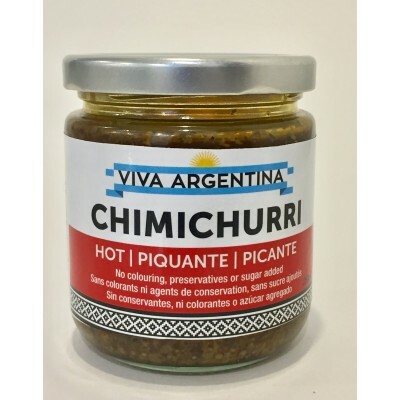 IT'S ALSO GREAT AS A CONDIMENT FOR PASTA, VEGETABLES, THE USE OF OUR CHIMICHURRI IS ENDLESS…. 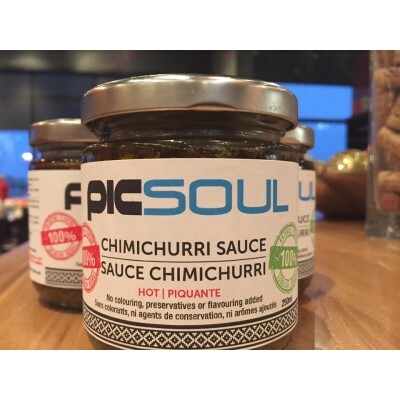 Proudly made in Quebec Chimichurri is one of most delicious and versatile sauces around. It's tra..
Spicy Chimichurri is one of most delicious and versatile sauces around. It's traditionally served .. Box of 12 jars de 250ml chimichurri sauce with your logo or your name. We'd love to customize chi..